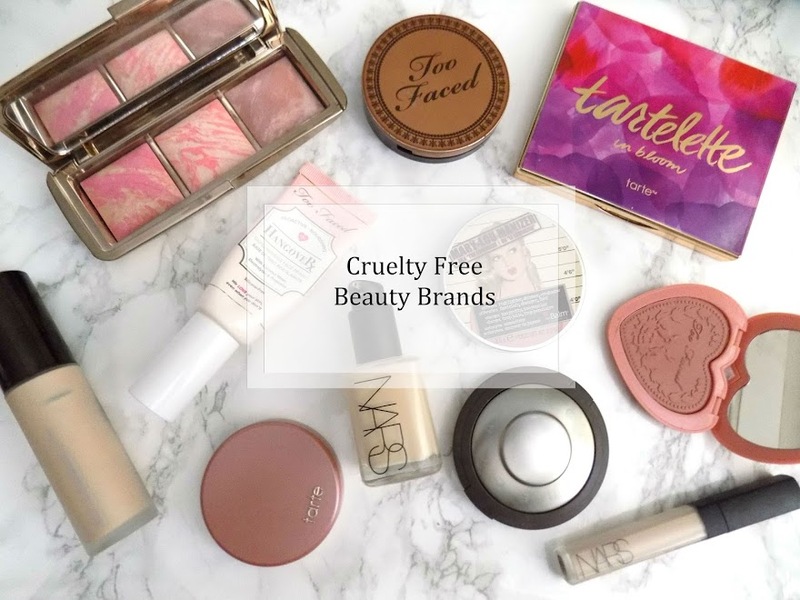 I used to do a post like this most months and I just forgot about it, so I thought I would try and start it up again to go along with my monthly beauty faves. So I will talk to you about my favourite bloggers or youtubers, movies I went to see, and maybe even a sneak peak into September on It's a Beauty Thing. These posts went down very well before so I hope you like them and let me know if you want me to make this a regular occurrence. 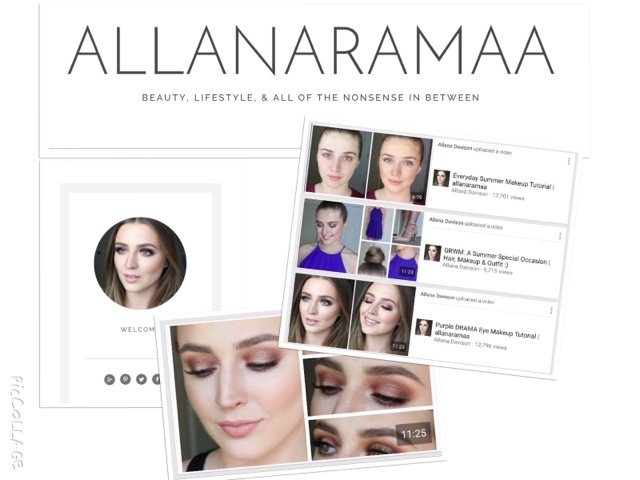 I have been completely obsessed with Allana Davison both her YouTube channel and her blog www.allanaramaa.com. She is a very down to earth everyday kind of girl, she has another job away from YouTube, and I just love her whole personality and energy. Plus how beautiful is she? 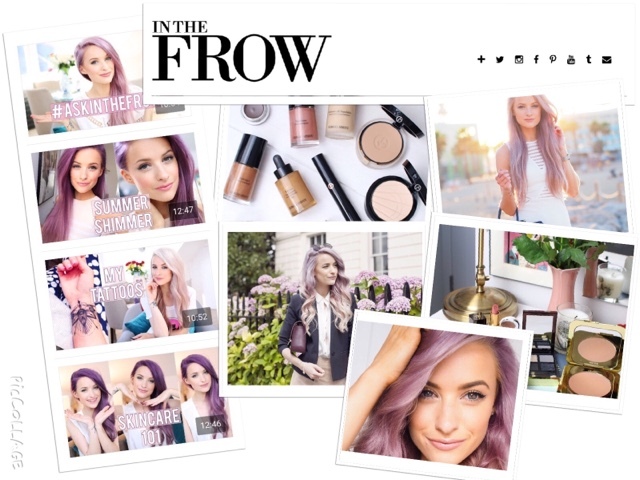 I've also been loving In The Frow, she's had some great content this month on both her YouTube and blog inthefrow.com. She has great photos, great tips from fashion to skincare and makeup and I mean c'mon isn't she beautiful? And look at that purple hair, so stunning. 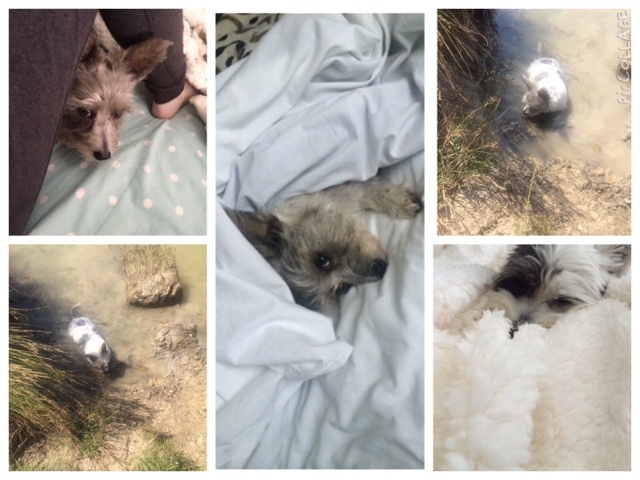 I highly recommend checking her out, these are just a few pictures from her blog and YouTube of some of my favourite posts from August. Teen Wolf (2011) I am on season 2 currently and loving it. Unfriended (2014) also known as (Cybernatural) fantastic film relating entirely round social media, and the whole film is basically a computer screen, nothing else. Went to watch the new Fantastic Four movie at the cinema when it was released this month, but unfortunately it was very disappointing and it felt like a 100 minute trailer for the real movie. I'm not the only one that didn't like it, IMDB has a rating of 3.9 which is just terrible and had I checked that first I wouldn't have even contemplated watching it. But the popcorn and ice cream I ate whilst watching the film made it worth it. 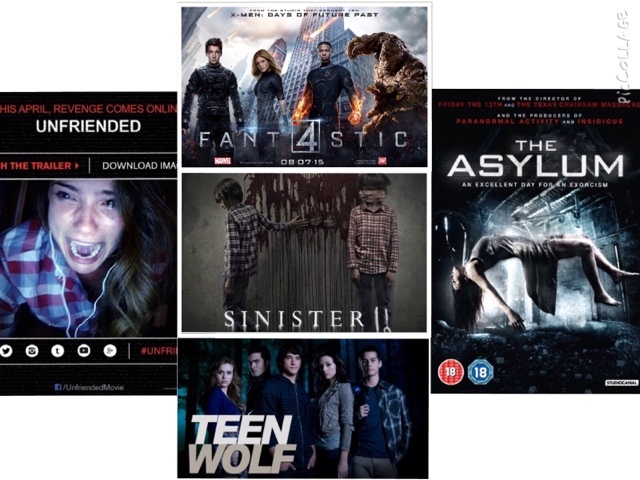 We also went to watch Sinister 2 as I am a massive horror movie fan. This was like nothing else, scared the bejesus out of me but it was still pretty good. This month was my Mum's birthday and so we had an awesome BBQ which was full of lot's of food and family and just chilling out in the sun and being harassed by wasps (not so fun). I have spent lot's of time with my boyfriend and his family and I love hanging out with them, we get on great and have a laugh and they're all awesome. My blog has had a massive makeover this month too and although I am still working on it, I am very pleased with how it's looking so far. But be sure to check out my blog over the next month because there will be even more changes, cool features and just a much better appearance of the IABT HQ. 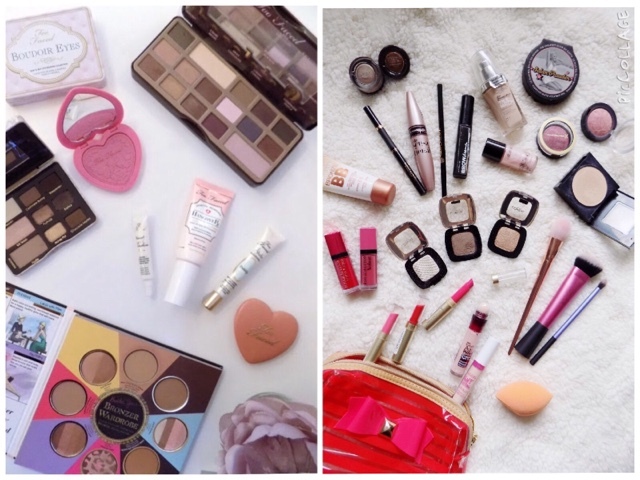 My favourite posts of the month has to be the Introduction to: Too Faced and the Drugstore Makeup Starter Kit which were the most popular posts on my blog too. I enjoyed writing these, taking the photos is always my favourite bit and the most creative so I really enjoyed these and I'm glad you guys like them too. I also really enjoyed the little chit chat post I did too where I just had a little ramble of why I love makeup and all things beauty related so you can read that here. My Darcy is just too fricking cute to handle and her sister Izzie is so soft and fluffy and loves snuggling into the pile of fluffy blankets I have on my bed. So cute. Yes, I a, the dog owner who takes a million photos of my dog everyday. What can I say, she's too cute not to. These are my favourite photos from the month of August. First is a makeup look that Kathleen Lights did a tutorial on on her YouTube channel which I have been wearing a lot. 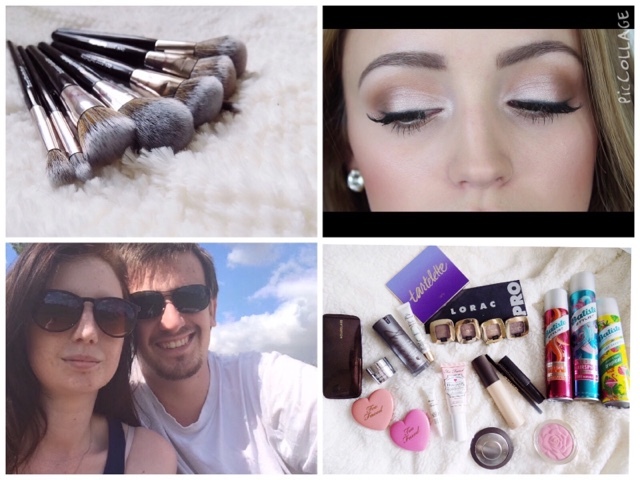 Below that is this months beauty favourites, then is a picture of myself and my boyfriend Ben when we took Darcy to a local village for a walk, plus I've spent a lot of time with Ben recently and mentioned him a few times so thought I would show you who he is so you can put a face to the name. 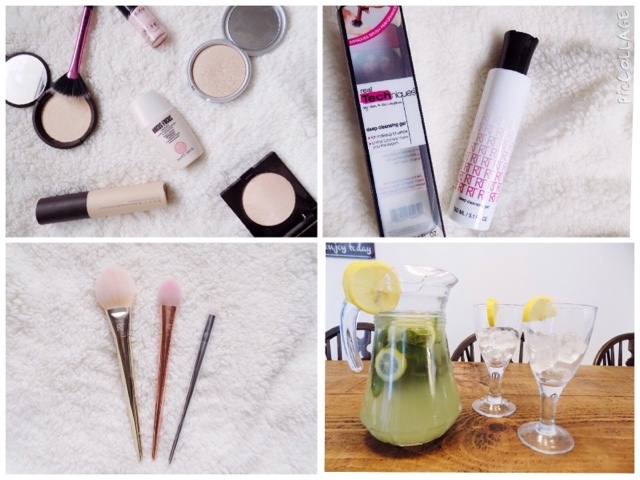 Finally is a very recent post all about he Look Good Feel Better Makeup Brushes which were designed for the charity to help women and teenagers look and feel better by giving them makeovers and showing them tips on makeup and skincare. This is an incredible cause and by far my favourite post this month. September is going to see a transition into autumn so expect an autumn edit as well as some makeup looks and there's also a few other ideas that I have up my sleeve which I think you will love, including reviews of a new brush cleaner, a range of some beautiful looking brushes, as well as an introduction to strobing and well, you'll have to wait until the weekend to see what is on the jug. That's a wrap. 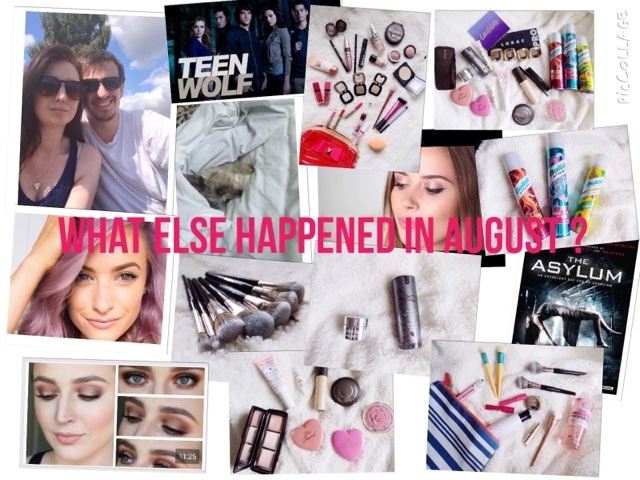 August is over, September has some very exciting things to offer which makes me in beauty blogger heaven. I hope you enjoyed August and that September has awesome times ahead for you. What else did you do this month?